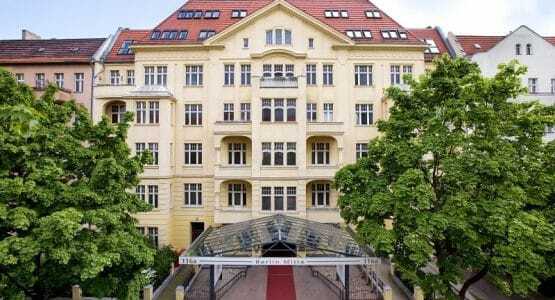 Best hotel location conveniently situated in the northern part of the Berlin city centre. 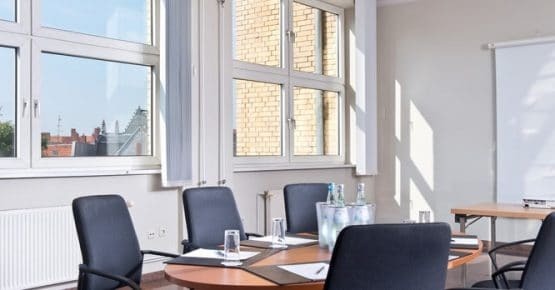 The Wyndham Garden Berlin Mitte Hotel is close to the inter-regional railway ans S-Bahn station Berlin-Gesundbrunnen in the northern part of the Berlin city centre. This Berlin hotel is perfectly served by the transport network. The A100 city motorway is around 3 km away, the underground is 400 metres away and you can reach Berlin Tegel Airport TXL in around 20 minutes. Take the U-Bahn (Subway / Metro) U8 or U9 to Osloer Strasse. From here you can either take the M13 tram two stops (towards S-Bahn Warschauer Strasse) or the tram 50 (towards Guyotstrasse) to the corner of Osloer Strasse/Prinzenallee. Wyndham Garden Berlin Mitte Hotel is on your right after just 250 metres. If you come from the Berliner Ring A 10, take exit 16 “Dreieck Nuthetal” towards Berlin-Zentrum/Berlin-Zehlendorf/Potsdam-Zentrum. Continue on the A 115 until you reach the “Dreieck Funkturm” exit. Take the A 100 towards Hamburg/Wedding for another 8 km. Then follow Seestrasse for 5 km, which then becomes Osloer Strasse. Wyndham Garden Berlin Mitte Hotel is on the right. Parking spaces are available. Coming from the Berliner Ring A 10, take exit 35 “Dreieck Pankow”, then follow the A 114 towards Berlin-Zentrum/Berlin-Pankow. After around 8 km take exit 4 “Pasewalker Strasse” towards Pasewalker Strasse. Follow the signs towards Pankow (B 109). Continue along Damerowstrasse, which becomes Breite Strasse. Turn left into Wollankstrasse until it becomes Prinzenallee. After around 600 metres turn left into Osloer Strasse; our hotel in Berlin-Mitte is after 200 metres on the left-hand side. 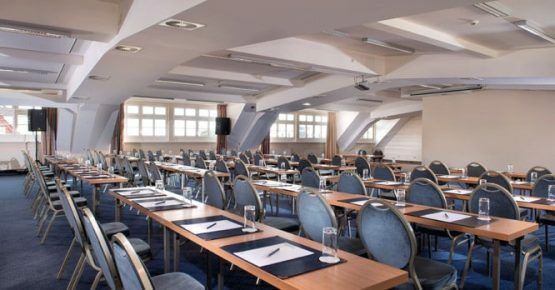 The 5th International Conference on Opportunities and Challenges in Management, Economics and Accounting , 29 – 31 August , 2019 in Berlin, Germany aims to bring together academia, researchers and scholars to exchange information and share experiences and research results about all aspects of specialized and interdisciplinary fields.